There are several different ways to try something in Japanese including making an effort toward something, making an attempt at something, and trying something out to see what happens. In order to express “try” as striving toward a goal, we use the same 「よう」 we learned in the last section to describe the manner or appearance of the way we want to act. In this case, we use the verb 「する」 (meaning “to do”) and the 「に」 target particle to do toward the manner or appearance of the verb clause. Try not to smoke cigarettes. Trying not to eat sweet things. (lit: Doing toward manner of not eating sweet things). Was trying to exercise a lot more but soon gave up. If you use the same grammar as before but with the verb 「なる」 (meaning “to become”) instead of 「する」, we can describe reaching the state of the verb. (It) became so that (I) don’t smoke. (I) exercised every day so (it) became so that (I) won’t get fat easily. (I) lived in Japan for two years so (I) became able to speak Japanese. The volitional form can also be used to describe an attempt or effort to do a single action. In this case, we use the volitional form followed by 「と」 and the verb 「する」 (“to do”). Dog always tries (attempts) to eat people’s food. Even though (it’s a) holiday, (my) parents don’t try (make an effort) to go anywhere so (it’s) boring. Alice: Did (you) know. (I) hear (that you) call people (who) don’t do things like go to work or go to school NEET. John: (I) can’t believe it! Alice: That’s right. I wonder why (they) don’t try to look for (a) job? John: (I’m) jealous! Why are (they) able to do that kind of lifestyle? Don’t (you) need things like money? Alice: No, I don’t think NEET is something (you) become because (you) like it. A third way to express trying (not as a goal or effort) is to do something as an experiment. For example, trying out something for the first time. 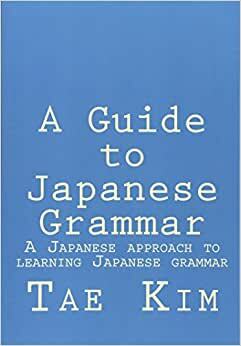 This grammar is expressed by changing the verb to the te-form and attaching the verb 「みる」 (“to see”). Alice: Tanaka-sensei, (I) have something I’d like advice on (lit: there is a consulation). Tanaka: Yes, what is it? Alice: Lately, (I) feel like (my) Japanese isn’t improving very much but what should I do? Tanaka: Alice-san’s Japanese is improving, you know. But, let’s see. How about trying to do much more conversation practice? (I) think (you) can become so that (you) can speak much more skillfully by doing (a) lot of conversation practice. Alice: That’s so, isn’t it. But (my) classmates don’t try to speak Japanese outside of class at all. Tanaka: That’s bad, isn’t it? How about making Japanese friends online? Alice: That is a good idea, isn’t it? I will try making friends online and try to do much more conversation in Japanese. Tanaka: By the way, who is slacking off on (their) studies?